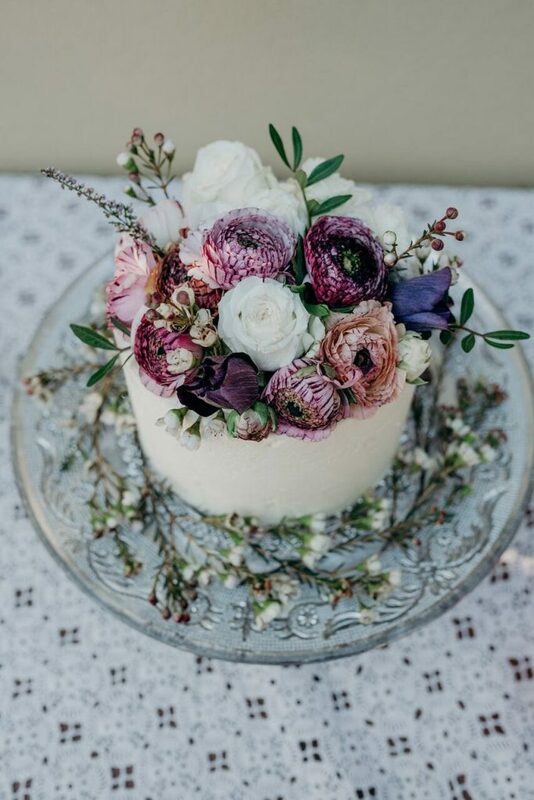 Whilst we’re on the subject of cake (see last blog post), I thought I’d do some more cake inspiration. This time from our recent elopement weddings. 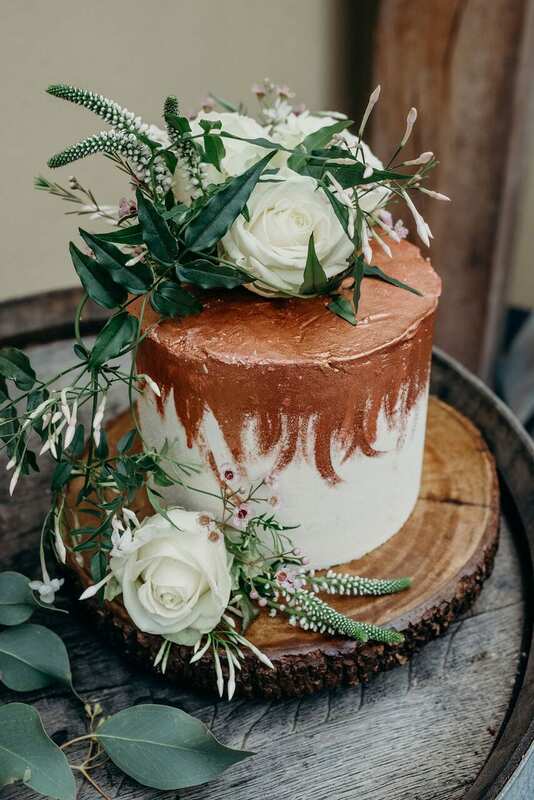 Harrie, our elopement chef, is an incredible cake maker. I’m always amazed by her tasty creations. Her decorating skills know no bounds, and I have also tried some myself so I know they taste amazing too! The best thing about elopement weddings is that they really are just about you (and your groom…). How does that have anything to do with cake? 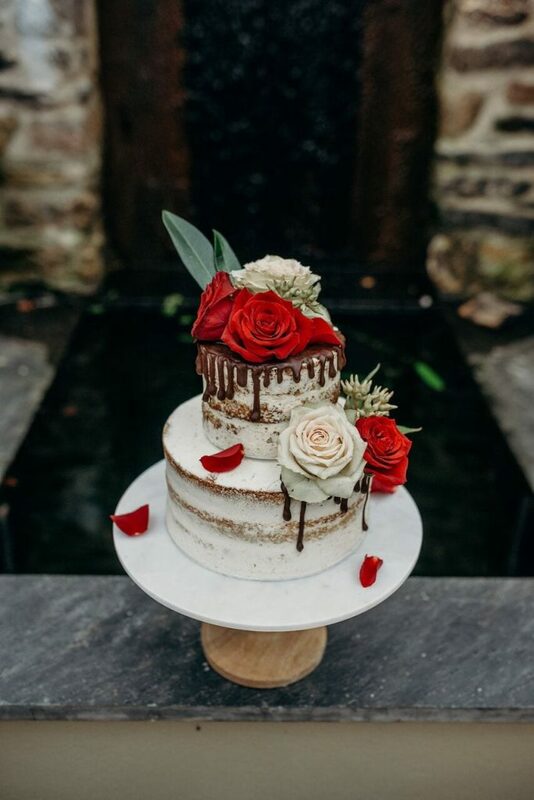 Well, you don’t often see chocolate cakes at weddings, despite it probably being the most popular cake flavour. That’s not the case with elopement weddings. We get lots of couples opting for chocolate cake. Why not, eh! Personally, I love a plain white/ivory icing. Why? 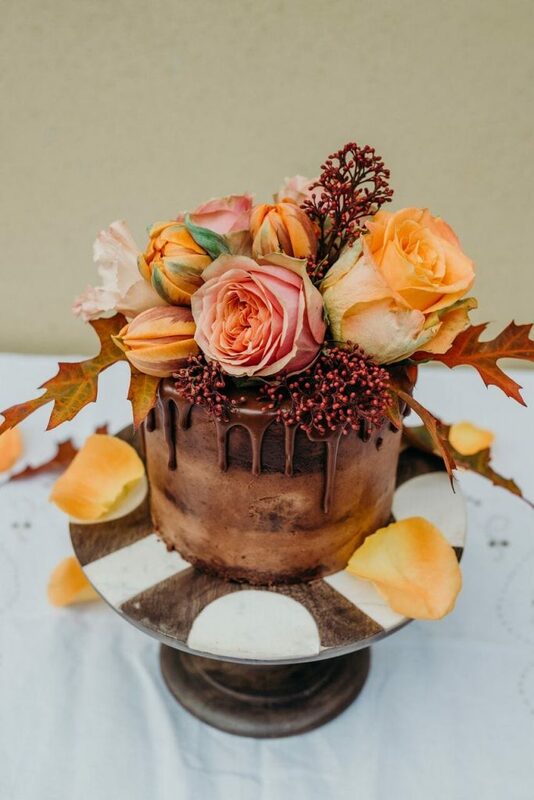 Because you can do so much with the cake flowers! 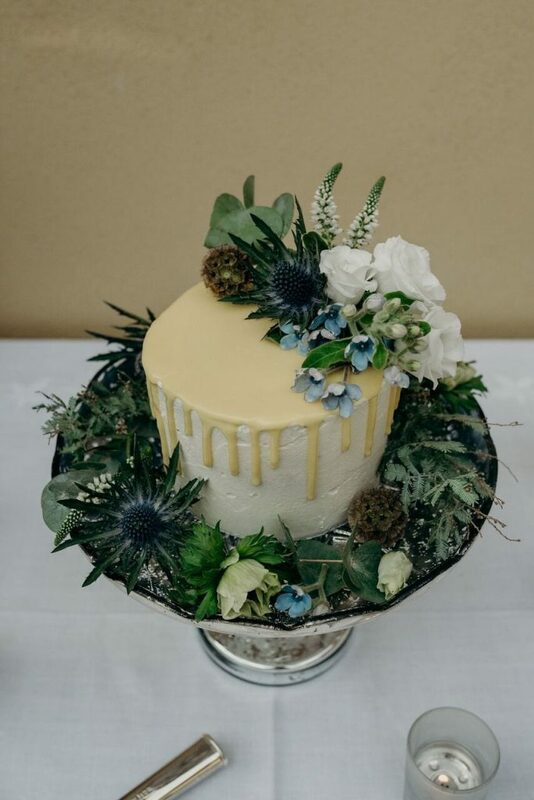 Such a simple but effective look, especially on miniature cakes. I mean, those flowers. Seriously, wow! Cake effects! To be perfectly honest, I’m not entirely sure what or how Harrie does what she does to the cakes. But it’s incredible, every single time. I love the dripping effect which is a popular option. 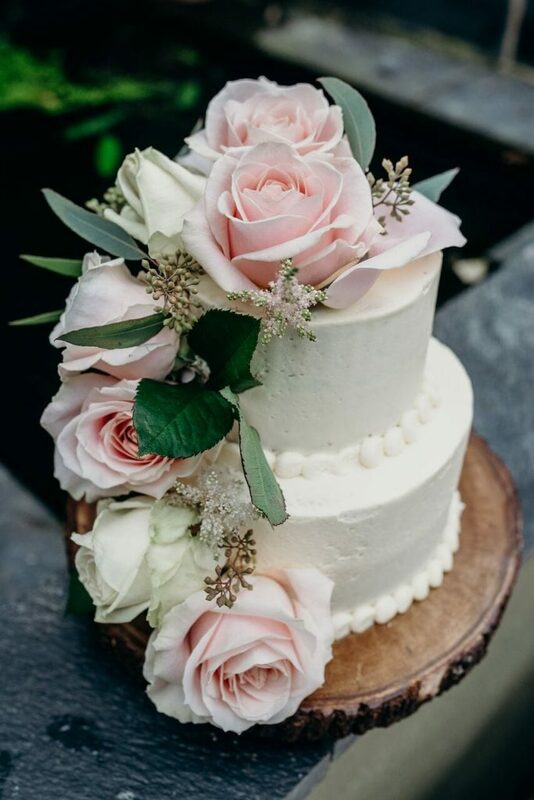 And I especially loved the rose gold icing effect on Georgia & John’s red velvet cake in November. Bake-off eat your heart out! 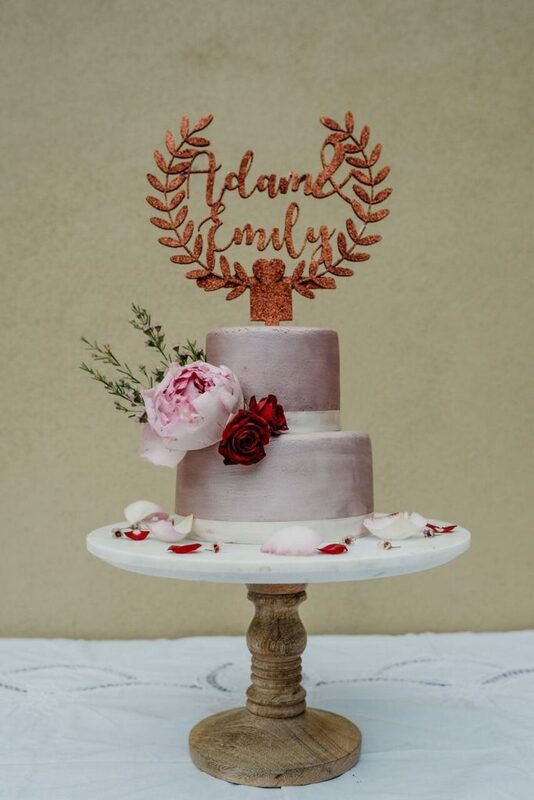 There is always room for a cake topper if that’s your ‘thing’. We don’t often get the whole bride & groom sitting on the cake. But something personal (names, for example) is a great addition to an already magnificent cake. As always, our dream team of elopement suppliers! Cakes: Harrie, Boo to a Goose.